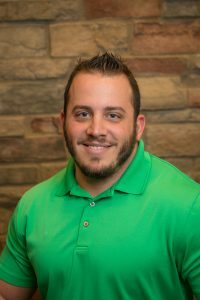 Travis began working at Hertel & Brown as a physical therapy technician in 2011. When he completed his Physical Therapist Assistant (PTA) degree at Mercyhurst North East in 2014, he joined our team as a PTA. He specializes in aquatic therapy and works at both the West Erie Plaza and Summit offices. He also completed Level 1 certification in Fascial Movement Taping (FMT), also known as kinesiotaping.